We reserve the right to restrict access to areas of our website, or indeed our whole website, at our discretion. Your user content must not be illegal or unlawful, must not infringe any third party’s legal rights, and must not be capable of giving rise to legal action whether against you or us or a third party (in each case under any applicable law). (d) exclude any of our or your liabilities that may not be excluded under applicable law. To the extent that the website and the information and services on the website are provided free-of-charge, we will not be liable for any loss or damage of any nature whatsoever. We will not be liable for any injury, loss or expense howsoever arising from your implementation and practice of any of the subject matter taken from our website. Whilst we endeavour to ensure that any “comments” posted on this website by others are reasonable we do not warrant their reasonableness, completeness or accuracy; nor do we commit to accepting any responsibility for the contents of any such “comments” posted or accept any liability whatsoever for any damage, injury or losses howsoever caused or suffered as a direct result of any such “comments”. To the maximum extent permitted by applicable law we exclude all representations, warranties and conditions relating to this website, its contents, including “comments” posted by others and the use of this website (including, without limitation, any warranties implied by law of satisfactory quality, fitness for purpose and/or the use of reasonable care and skill). The limitations and exclusions of liability set out herein (a) are subject to the preceding paragraph; and (b) govern all liabilities arising under the disclaimer or in relation to the subject matter of this disclaimer, including liabilities arising in contract, in tort (including negligence) and for breach of statutory duty. To the extent that the website and the information and services on the website are provided free-of-charge, we will not be liable for any loss or damage of any nature whatsoever and we will not be liable to you in respect of any losses arising out of any event or events beyond our reasonable control. For questions about this site, please contact Maia Communications. This site accepts forms of cash advertising, sponsorship, paid insertions and other forms of compensation. The compensation received may influence advertising content, topics or stories published. The owners of this site may be compensated to provide opinion on products, services, websites and various other topics. However the views and opinions expressed on this site are purely the site owners’ and that of commissioned writers. If we claim or appear to be experts on a certain topic or product or service area, we will only endorse products or services that we believe, based on our expertise, are worthy of such endorsement. Any product claim, statistic, quote or other representation about a product or service should be verified with the manufacturer or provider. This website may contain content which might present a conflict of interest. This content may not always be identified. Voluntarily provided information which may include your name, address, email address, which may be used to deliver the services you have requested. Maia Communications Ltd may have the occasion to collect anonymous demographic information, such as age, gender, household income, at a later time. We may also gather information about the type of browser you are using, IP address or type of operating system to assist us in providing and maintaining superior quality service. Maia Communications Ltd may collect and may make use of personal information to assist in the operation of our website and to ensure delivery of the services you need and request. At times, we may find it necessary to use personally identifiable information as a means to keep you informed of other possible products and/or services that may be available to you from https://livesharetravel.com. Maia Communications Ltd and our subsidiaries may also be in contact with you with regards to completing surveys and/or research questionnaires related to your opinion of current or potential future services that may be offered. Maia Communications Ltd does not now, nor will it in the future, sell, rent or lease any of our customer lists and/or names to any third parties. Maia Communications Ltd may feel it necessary, from time to time, to make contact with you on behalf of other external business partners with regards to a potential new offer which may be of interest to you. If you consent or show interest in presented offers, then, at that time, specific identifiable information, such as name, email address and/or telephone number, may be shared with the third party. Maia Communications Ltd may deem it necessary to follow websites and/or pages that our users may frequent in an effort to glean what types of services and/or products may be the most popular to customers or the general public. Perform under demanding conditions in an effort to safeguard the personal safety of users of https://livesharetravel.com and/or the general public. Maia Communications Ltd does not knowingly collect personal identifiable information from children under the age of thirteen (13) without verifiable parental consent. If it is determined that such information has been inadvertently collected on anyone under the age of thirteen (13), we shall immediately take the necessary steps to ensure that such information is deleted from our system’s database. Anyone under the age of thirteen (13) must seek and obtain parent or guardian permission to use this website. All users and/or visitors to our website have the option to discontinue receiving communication from us and/or reserve the right to discontinue receiving communications by way of email or newsletters. To discontinue or unsubscribe to our website please send an email that you wish to unsubscribe to info[at]maiacommunications[dot]com. If you wish to unsubscribe or opt-out from any third party websites, you must go to that specific website to unsubscribe and/or opt-out. Maia Communications Ltd shall endeavour and shall take every precaution to maintain adequate physical, procedural and technical security with respect to our offices and information storage facilities so as to prevent any loss, misuse, unauthorised access, disclosure or modification of the user’s personal information under our control. The company also uses Secure Socket Layer (SSL) for authentication and private communications in an effort to build users’ trust and confidence in the internet and website use by providing simple and secure access and communication of credit card and personal information. We also use social media buttons and/or plugins on this site that allow you to connect with your social network in various ways. For these to work the following social media sites including; Facebook, Twitter, Pinterest, Google+, Stumbleupon, will set cookies through our site which may be used to enhance your profile on their site or contribute to the data they hold for various purposes outlined in their respective privacy policies. Hopefully that has clarified things for you and as was previously mentioned if there is something that you aren’t sure whether you need or not it’s usually safer to leave cookies enabled in case it does interact with one of the features you use on our site. However if you are still looking for more information then you can contact us through the email address below. Liberating luxury is at the heart of our philosophy here at LiveShareTravel. There’s a sense with luxury travel and lifestyle that it’s unattainable to people on anything but a celebrity budget. Not so. 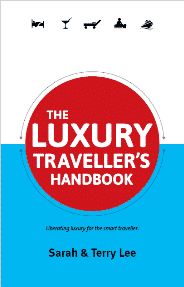 Here you’ll find great luxury deals, tips and ideas for how to travel and inspiration to make your life more luxurious and without breaking the bank.